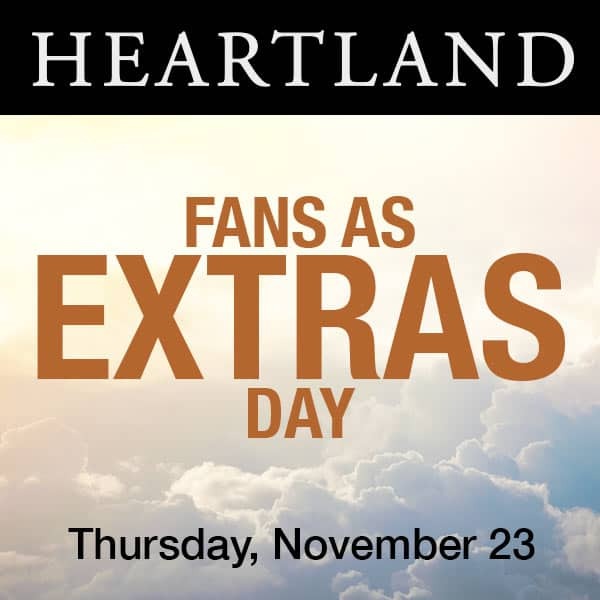 This season Heartland is able to have not one but two (count 'em - 2) Fans-as-Extras-Days (FaED), where many of you are going to be able to form a crowd that will be attending an equestrian jumping event. This will be a part of the Heartland season 11 finale and will be broadcast in April on CBC. WHEN: Thursday, November 23, from 8:00am (approximately) until 1:00pm (again, approximately). WHERE: At an arena in the City of Calgary. And no, it is much closer to downtown than it is to Spruce Meadows. Note: the arena is indoors, so weather will not be a factor. And the venue is wheelchair accesible. WHAT: Heartland is looking for many background performers to fill portions of the stands and bleachers to be a cheering crowd at an equestrian event. If you register and attend you will watch filming and, in between takes, cast members will address the fans using a microphone and speaker system. Sorry, there will be no interaction in the way of autographs, photos with the cast, etc. It is a working day and there are a lot of scenes to film. WHAT CAST WILL BE THERE? : You'll love this! 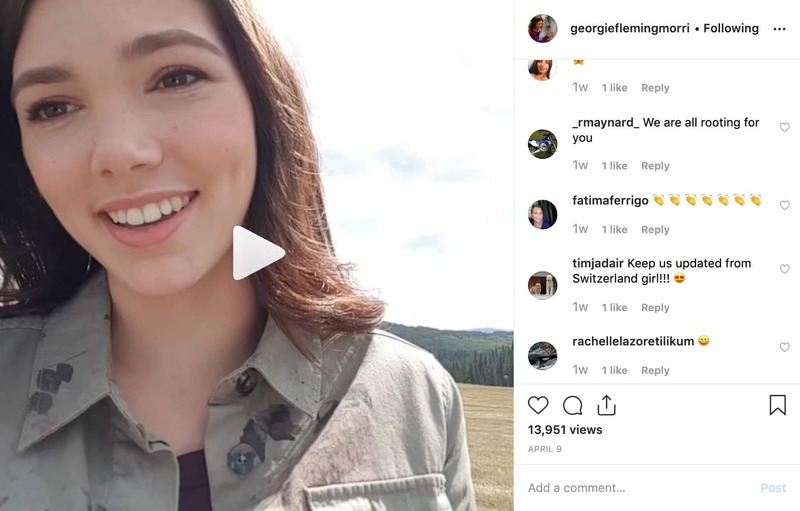 Amber Marshall, Shaun Johnston, Michelle Morgan, Graham Wardle, Chris Potter, Alisha Newton, Gabe Hogan, Julia Baker, Jessica Steen and Kevin McGarry. AND THEY PLAY WHO? : Amy, Jack, Lou, Ty, Tim, Georgie, Peter, Katie, Lisa and Mitch. WHO CAN APPLY? : Anyone who is able to attend and stay the entire time outlined above is welcome, from ages 6 and up. Please, do not include any children under the age of six years of age. and include the following - How many people are in your group, and of that number how many are adults. Production does not need specific ages. Just total coming and the number of adults in that total. No need to include numbers for teenagers and children. Production can do the math. Fans will be accepted in the order they reply. Please note - this is the same email used for the last FaED in September and all emails received have been deleted. This is a fresh start and if you have been part of one of these days before you are more than welcome to be a part of this upcoming one. WHAT THEN? : Watch for an update in Thursday's blog. I will let you know then how the registration is going. Because a larger number than usual is needed I do not expect this to be filled up in a couple of hours, so if you are late seeing this, you should still apply, because you may still be able to get accepted for it. In this Thursday's blog I will also tell you when the registering return email will be sent to those who have been chosen. ANYTHING ELSE? : Yes, and this is very important. Send one email only with the numbers of people in your group. Please do not include any questions in the email. Any that I have not answered in this blog will be answered either on Thursday or in the confirmation which will be sent out to those who will be chosen. So that's it then. If you can be in Calgary and attend on Thursday, November 23 then you are going to have a fantastic time. Get it? FANtastic??? I crack myself up.